Magnetic resonance imaging (MRI) is a noninvasive imaging technology that uses a large magnet, radio waves and a computer to produce detailed pictures of organs and other structures inside your body. No X-ray radiation is used in MRI. You will lie on table that slides into a large, tube-shaped machine, with a powerful magnet that creates a strong magnetic field around your body. The hydrogen atoms in your body (found mostly in water molecules) align in the magnetic field and then react to radio waves directed at the area being scanned, sending out radio signals in response. A computer analyzes these signals, producing a highly detailed image. For many MRI exams, contrast material is injected into the bloodstream to further enhance the image. You can’t feel a magnetic field or radio waves, so a MRI exam is painless. However, the magnet is noisy, producing loud tapping and thumping noises, so you may be offered earplugs or headphones to listen to music during the exam. If you feel anxious or claustrophobic in confined spaces, you may want to speak with your doctor beforehand to see whether a mild sedative could be useful. In some cases, it may be possible to use an open MRI unit, which is less confining. An MRI exam produces highly detailed pictures of soft tissue and other parts of the body that may be difficult to visualize with X-rays or other imaging methods. It can be used to look at internal organs, blood vessels, and the prostate and heart, for example. Magnetic resonance angiography (MRA) is a more specialized form of MRI used to evaluate blood flow through arteries. MRA can also be used to detect aneurysms an abnormal bulge or ballooning in a blood vessel wall, which can rupture and cause internal bleeding. It also can be used to detect and visualize vascular malformations, abnormalities of blood. When it comes to MRIs, the radiologists at Northwell Health Imaging are the power behind the exam. Every MRI is performed with state-of-the-art technology and interpreted by a fellowship-trained body radiologist whose diagnostic skills have been honed by specialized training and thousands of hours of experience. If you need additional care, your radiologist will work side by side with the rest of your care team, collaborating closely to help guide your care. 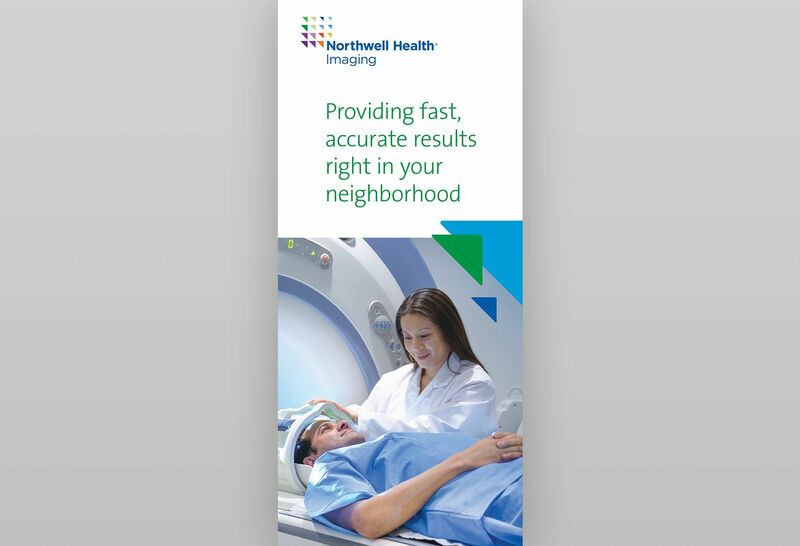 Northwell Health Imaging offers the largest group of fellowship-trained and sub-specialized radiologists on Long Island, as well as access to all the resources and clinical expertise of New York state’s largest health system. Whether you are here for screening, diagnostic or treatment imaging services, each of our practitioners is committed to providing a caring, comfortable environment and a positive, productive experience. MRI exams do not use X-rays, so there is no risk of exposure to radiation. Because of the strong magnetic field, you should not get a MRI if you have certain kinds of metal implants. These include certain cardiac defibrillators and pacemakers, as well as cochlear (ear) implants, clips used for brain aneurysms and some types of metal coils used in blood vessels. Other implanted devices may also create a risk or interfere with the exam, including artificial joints, metal pins and plates and some kinds of intra-uterine devices (IUDs). You should tell the technologist if you have any medical or electronic devices in your body, or other metallic objects, such as bullets or shrapnel. It is rare to have an allergic reaction to the contrast material often used for MRI exams (gadolinium). However, some medical conditions, such as severe kidney disease, may make the use of gadolinium inadvisable. MRI exams are performed on pregnant women for certain indications and no ill effects have been reported, either for the women themselves or their fetus. However, because of the strong magnetic field, you should avoid having a MRI exam during the first three to four months of pregnancy unless the potential benefit of the test is thought to outweigh the potential risks. If you are pregnant, you should not receive an injection of gadolinium contrast material, unless its use is believed to be critical. Because patients are enclosed in a narrow, cylinder-shaped tunnel in standard MRI machines, an exam can be uncomfortable for people with claustrophobia or anxiety. For some people, a mild sedative can help. A MRI exam is usually done on an outpatient basis. Generally, if your MRI exam requires contrast material, an intravenous line (IV) will be placed in your hand or arm. You may notice a temporary metallic taste in your mouth after the contrast material is injected. In some cases, additional contrast material is taken by mouth. When it is time for the exam, you will lie on a table that slides into a tunnel in the scanner. The MRI technician will be in another room where the controls for the scanner are located, but the staff will be able to see you and speak with you throughout the exam. In addition, there is a call bell inside the scanner that you can use if you experience any kind of problem. Most MRI exams are painless, but you will hear and feel loud clicking and thumping sounds while images are being recorded. You will be given earplugs or headphones to block out the noise. Music is available and you may also bring your own. An open MRI may be useful in some cases, such as for children, people who are very or who have severe claustrophobia. While standard MRI units have a closed, cylinder-shaped tunnel where the patient is placed for the exam, open MRI units do not completely surround the patient, and some are open on all sides. If a child is getting an exam in an open MRI, a parent or other caregiver may stay throughout the procedure to provide comfort. Northwell Health Imaging offers an open MRI at our Syosset imaging center. It is important that you remain very still while images are recorded, but you may be able to relax between imaging sequences. The MRI technician may periodically ask you to hold your breath for a few seconds, depending on the body part being scanned. Unless you are told otherwise, follow your regular routine on the day of a MRI exam and take your normal meals and medication. (See below for preparations for specific kinds of MRI exams.) You may dress normally as well, as you will change into a hospital gown before the exam. You will be asked to remove jewelry and any objects that may contain metal, such as hairpins or barrettes, hearing aids, eyeglasses and dentures. You should not have credit cards in your pockets, as they could be damaged by the magnetic field. Let the technician know if you have any serious health problems, if you’re pregnant or if you have recently had surgery. You should also tell the technician if you have medical or electronic devices in your body, or if you have a tattoo, which rarely can heat up during a MRI exam. If you are claustrophobic, speak with the imaging facility ahead of time. Before the exam, you may also want to ask your physician for a prescription for a mild sedative. Certain types of MRI exams require extra preparation. You will receive specific instructions from your doctor when you make your appointment. Your MRI will be read/interpreted by a subspecialized radiologist and results will be promptly shared with your physician. Your doctor will determine if any followup care is needed.